This page name is derived from my given Native American name with my modern given first name. This portion is dedicated to the Native American Heritage and Culture. Below are hand tooled traditional Gorgets made using brass copper and silver in the design. 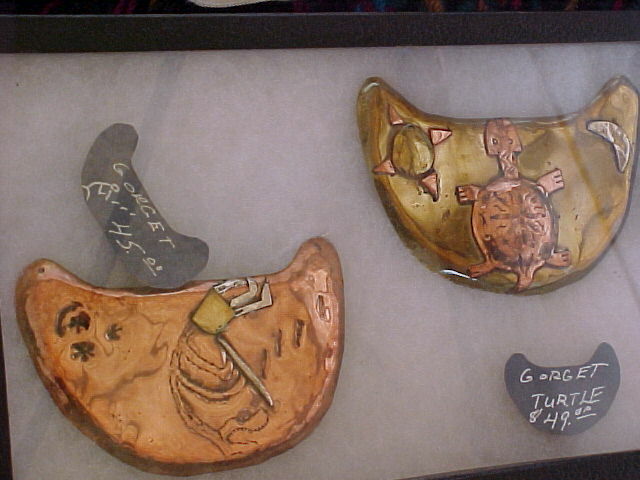 These pieces are on display in a Native American shop at last (May 2000) information in Central Florida near St. Petersburg/Tampa area. 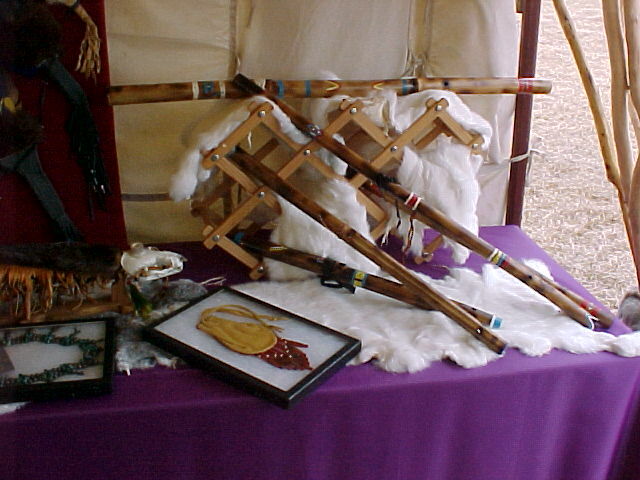 At the right are some flutes made by a friend on one of the reservations in Oklahoma. This flute maker and player has won many awards for both his name is Charles Frazier (Wind Whispers).